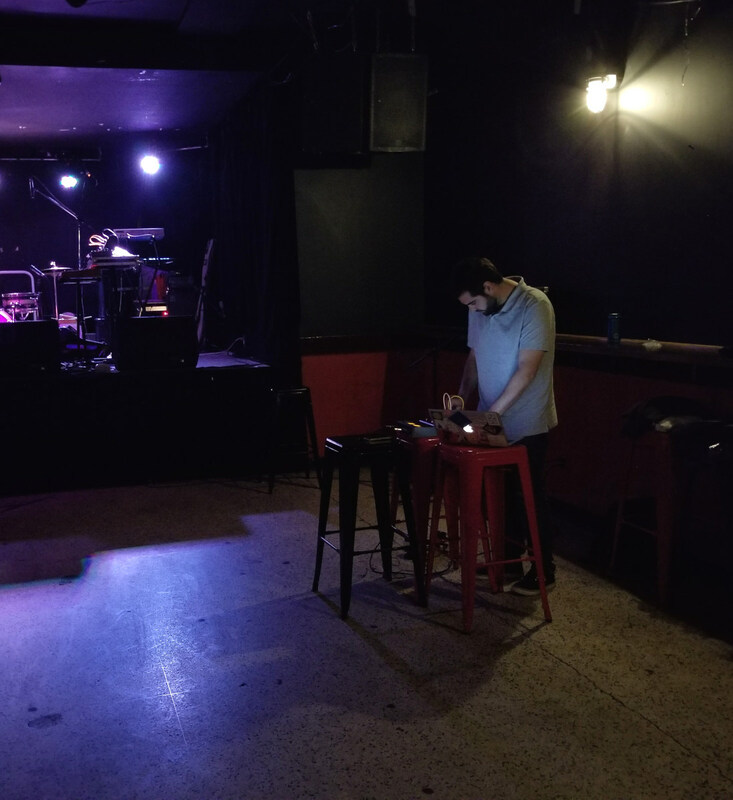 In between homes, the TONE festival was kind enough to let Track Could Bend share its space at The Baby G for an extra-early outing before their event. A touch less intimate than the typical TCB surroundings (though brought in a little closer by bringing the action down off the stage), the trade-off was a chance to have an excellent sound-tech and a big PA to listen to some electroacoustic explorations. It was also a treat to host Lisbon's Sal Grosso — TCB's first international guest — who, thanks to the internet, connected with the series in a similar friend-of-a-friend manner as many locals. With laptop, mini modular unit and a multi-effects box, this also fit right in to the series' soundworld with scratchy dreamscapes adding just enough grit to shift past ambient mellowness — and the PA in the back room helped add some nice overtones with the volume pumped up and reverberating off the walls.